Photographer Ariane Ateshian Delacampagne will present her photographic portrait of the Armenian community of Bourj Hammoud, Beirut, Lebanon on Tuesday, June 9, 2015 at the Zohrab Center in New York. 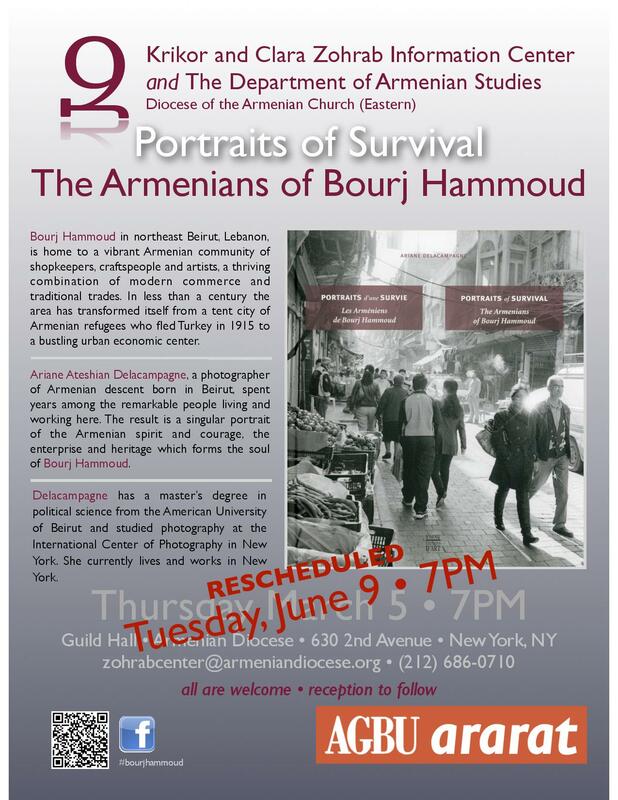 The presentation of the new book Portraits of Survival: The Armenians of Bourj Hammoud, which was postponed earlier in the year because of snow will take place this Tuesday, June 9 at 7PM in the Guild Hall of the Armenian Diocese in New York. 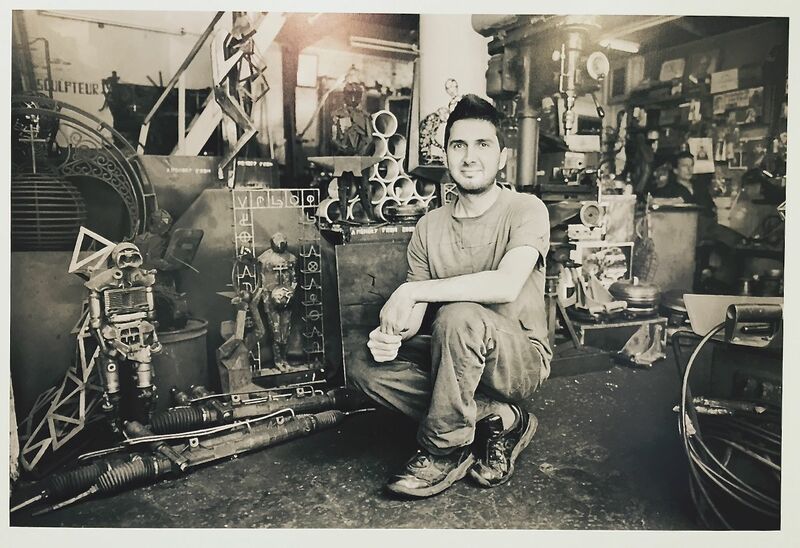 Ariane Ateshian Delacampagne, a photographer of Armenian descent born in Beirut, spent years among the remarkable people living and working in the Armenian enclave of Bourj Hammoud in northeast Beirut. The result is a singular portrait of this vibrant Armenian community born from the ashes of the Genocide. The album is replete with stunning, original photographs that document the spirit and history of this remarkable community. The evening is being co-sponsored by the Zohrab Information Center and the Department of Armenian Studies of the Diocese, as well as AGBU Ararat. The event is free and open to the public. A wine and cheese reception will follow. CLICK HERE for full details. CLICK HERE to download a color brochure. For further information contact zohrabcenter@armeniandiocese.org or (212) 686-0710.